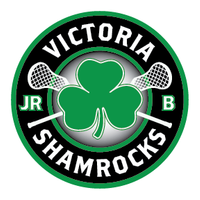 While the Coquitlam Adanacs are not dominating as they have in recent past years, they still found a way to defeat the Jr. ‘A’ Shamrocks at the Q Centre Saturday, coming away with an 11-2 victory. The game was close through the first 20 minutes, Coquitlam holding just a 3-2 lead heading to the dressing room. Cam Dunkerley got the start between the pipes for Victoria with Christian Del Bianco his counterpart at the other end of the floor. The Adanacs opened scoring 3:33 into the period, John Hofseth from in front. The Rocks replied with a pair, the first from Jake Campbell at 8:15 as Del Bianco did a juggling act and the ball found its way to the back of the net. The home team took a 2-1 lead at 9:06, Ben Preston with a hard shot from outside the dotted line. Just over a minute later, Coquitlam knotted the score with a goal from Jalen Chester from right in front. Larson Sundown made it 3-2 Adanacs at the 12:08 mark with a quick stick in close. That was how the period ended, despite Victoria holding the edge in shots on goal by a 20-9 margin. Coquitlam scored three straight goals in the middle frame, the first coming just 31seconds in from Dennon Armstrong but nobody found the net again until 16:08, Sundown getting his second and Chase Scanlan adding the 6th for the visitors just 20 seconds later. Again shots on goal favoured the Rocks but only by a slim 11-8 margin. The Adanacs added 5 more in period 3, one a shorthanded marker and one with the man advantage as the Shamrocks were outshot 14-10 in the period. 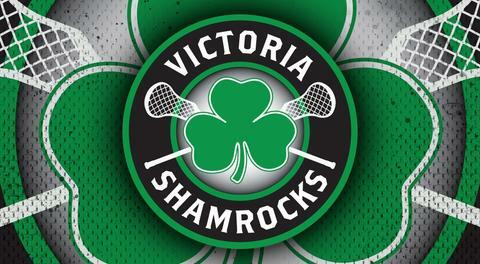 Only Jake Campbell and Ben Preston scored for the Rocks, Brayden Brown picking up assists on both goals. Larson Sundown led the visitors with 4 goals. 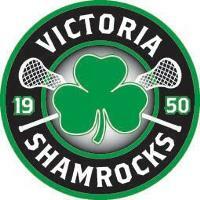 Next action for the Junior ‘A’ Shamrocks is next Saturday, June 9 when they host the Langley Thunder at 4:00 pm.